No matter you belong to professional blogging, starting as a designer, or choose to make a professional platform or maybe the perfect CMS, and then it is extremely important to choose what their platform must have. There are hundreds of blogging platforms that are being used currently. Choosing the perfect platform is necessary as this can help you get out of the troubles that one can have with reusable components, easy to use and many more. According to Feb 2018 reports by the expert, WordPress blogging platform 2018 is facilitating 30% of the total websites in the world. It begins with a simple blogging platform with limited access and later grown into a competing platform with the best content management system or CMS out there. As a blogger if one is looking for charm, right stuff to depend on that the WordPress can be the best choice one can make. This is a perfect blogging platform that all the professional bloggers are enjoying. WordPress has many reasons to be your favorite. What do you Need in Order to Start a WordPress Blog? WordPress is one of the excellent platforms, that makes everything systematic and in order. You don’t have to take care of so many complex things that it performs itself without complaining much about things. To Install the AMP for WP can be a significant step to do. All you need while using it is a WordPress blog, a domain name, and a hosting platform. In the beginning, you will require to read through the related stuff but once you will get a hand on it, you will eventually get the complete idea of how it works properly. 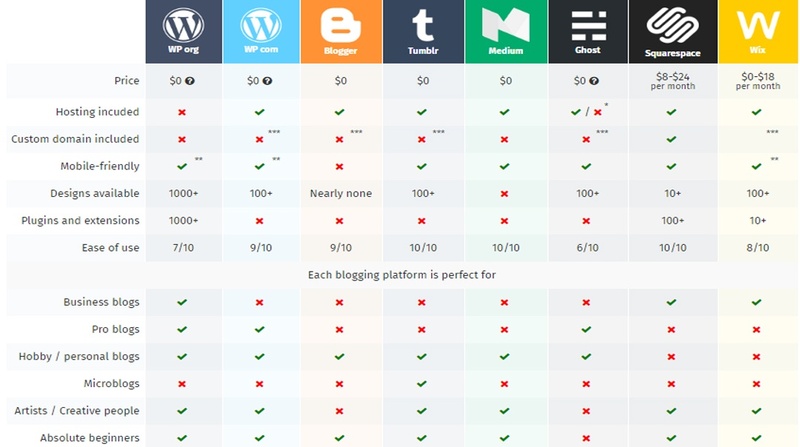 Why Is WordPress Best Blogging Platform? Let’s begin with few of the basic reasons that are making WordPress worth using platforms and how to start a blog with it, for better promotion and blogging purposes. WordPress makes the life easier. WordPress has amazing intuitive interfaces where adding images, boosting posts, images on the regular basis is far easier than any other platform. If you like instant response and want to keep playing with the floating imagination than the WordPress is one best option that can make you done with it smoothly. Technology has made life far easier, it has made things flow in a simple pattern and yet appealing enough to spend tie and formatting all the graphics with just click. It was time when we were bound to use the platforms that were around the complex interfaces and managing the things was really a big thing to look after. 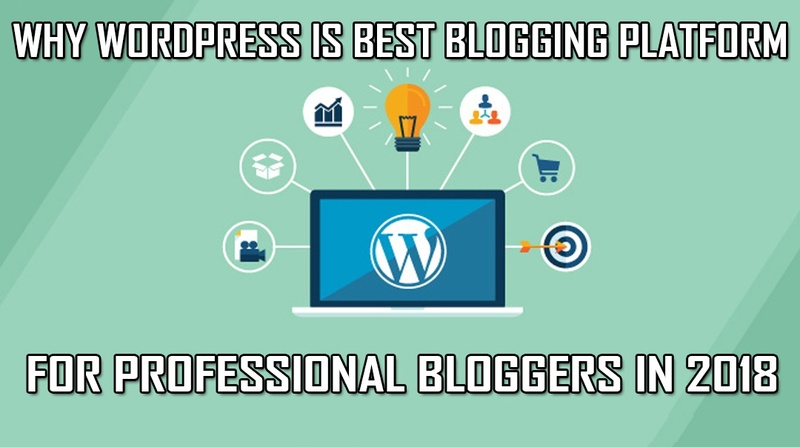 But WordPress allows one to stay track simple and really easy to manage and that’s why it is called as one of the best free blogging platforms. One can upload images; manage the content according to the conventions. It has a learning environment that makes life easier for the new bees to learn through the basic tricks to the next level. WordPress is browser-based. One can manage it from any platform. It is connected from computer to computer that helps one to manage the website easily. WordPress is a self-contained system and doesn’t require any professional knowledge regarding HTML and other editing software. You can create, manage, and format all the data along with uploading, maintaining galleries without any additional HTML. WordPress has made editing easier without much stress of amending it. If we talk about maintaining the online appearance, one has to stay little technical for this. Pleasing Google is always important. WordPress is that one platform that always makes good dealing with Google. WordPress blogging demands good search engine optimization with innovation and this is one best thing that WordPress does efficiently or one can say a built-in trait in it. The code behind WordPress is quite clean and to the point. It has made quite easier for search engines to read through the index and the site content. Beside everything each page, the posts and the images can have their own tags, keywords, and the facility of optimization for specified keywords that allows specific search engine optimization easier. As an administrator of Word Press site when can set up various users for the websites and assign the levels and authorities to every individual. Not only can this but you also customize the setting according to the rights you gave to the individual. The look and feel of this website are total can be customized 100% according to your own personal wish. No matter what business you are running, word press has a very pleasing effect on you. It can make you feel better by minimizing your stress by staying intellectual according to your needs and demands. This is not enough but this platform allows one to enjoy the updates and intellectual themes. You can use WordPress pages, custom post, and many other additional contents to use accordingly. You will get every flavor over here without any complications. Extending functionalities, managing video galleries, feeding twitter, facebook, and Fan box or may be creating a shop with WordPress makes things easier and possible with plug-ins. Playing with innovation and intellectual stuff like adding calendar and maintaining dates and events is easy with Word Press. WordPress sites are quite scalable. You can begin with start shared hosting and migrating to be a dedicated solution that can give you thousands of pages on your website for support. 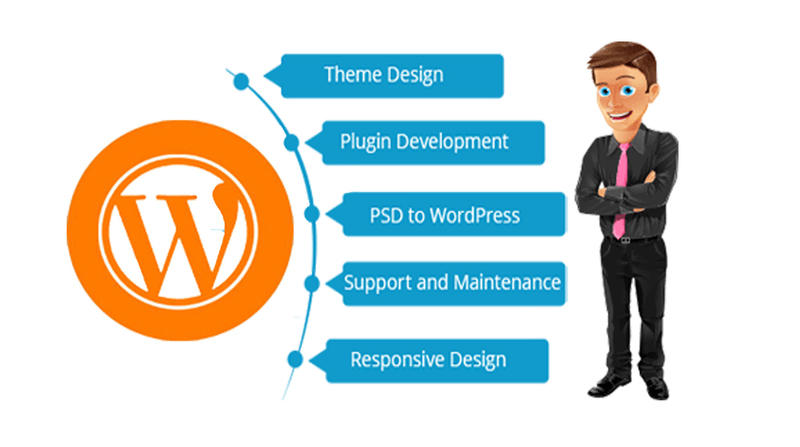 WordPress allows you significant help you manage the complex activities with much ease. WordPress Review in this regard says that it doesn’t require anything overwhelming to begin with other than playing with creativity. You don’t need any technical assistance in this regard as well rather just brief in-depth knowledge for this. Check this link for more details. Just like other platforms that we see require extensive involvement and investments when it comes to making changes and adding up several changes, but WordPress allows you doing it without much stress. You can add up several plug-ins and already built-in external supports. Today, the 30% of people that are working along WordPress knows that they are saying they’re enough of money by this easy updating. This year is saying much in the support of WordPress. It has come up with more secured plans and support programs. Its core plug-in, themes are developing all the time. So can be so sure that your site will be safe and in a secure atmosphere especially when you are using the tools for updates, backups and the excellent dashboard with almost everything. Let’s discuss some of the important queries that people often ask while dealing with blogging. Query No1: Which is the Best Platform to Start a Blog? No sugar coated words but WordPress is one excellent choice one can make. Starting a blog and working all along with it is not easy tasks especially when you are new to it. But WordPress help you with dealing with all your problems. Rest this cart has all answers for you! Query No2: How Do I Start Blogging on WordPress? All you need is a domain, a web hosting, and excellent management to begin with, and that’s it. WordPress may assists you will technically stuff off course rest your intellectual knowledge is equally important. Query No3: How do You Start a Blog and Get Paid for it? WordPress has no doubt made a significant impact on the information technology world. Making advancements and changes are not that easier. You will always need professionals for this. If you are thinking that this won’t be an easy thing to do than letting the Coding Pixel is the perfect platform for this. Professional Web Design and Development Services by Coding Pixel are ready to serve your every concern. 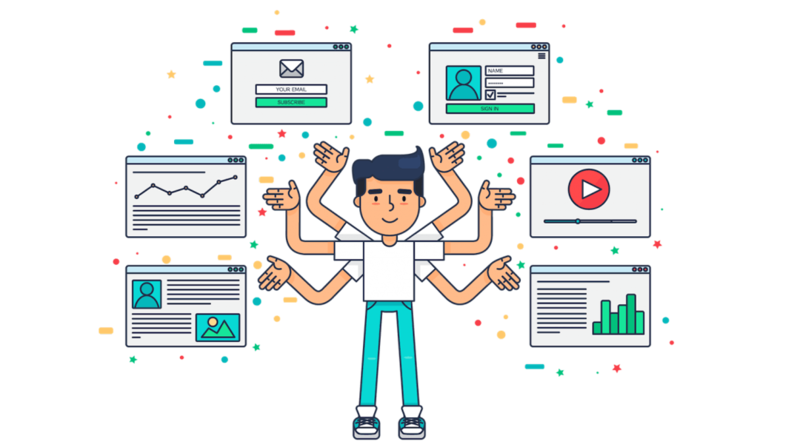 You don’t have to worry about any complexity related to application, desktop custom platform development, as this professional platform is ready to help you with this.